Over the weekend in Denver, my friends and I hosted an annual charity event—a sort of business and investment bootcamp that ended with around $100,000 worth of toys being donated to kids in low-income families. It was a lot of fun, and I really want to thank the dozens and dozens of our Total Access members who came and participated. At the bootcamp portion on Friday, we covered a number of different business and investment topics ranging from marketing to execution, tax structuring, intellectual property development, hiring key employees, and cryptocurrency. As you can imagine, the cryptocurrency lecture received the most interest—it seems to be on everyone’s minds right now. After walking the crowd through the basics (what are cryptocurrencies, where do they “exist,” how does “mining” work, how do you store them, are they secure, etc. ), we turned to the obvious issue: value. How can a string of digits generated from a piece of software possibly be worth $12,000? The answer lies in basic economics: supply and demand. The value of anything, whether it’s a piece of art, high rise condominium, ounce of gold, expensive watch, etc. is based on supply and demand. This goes for conventional currencies as well—which, by the way, are almost entirely digital. To give you an example, the current supply of U.S. dollars is around $13.7 trillion. Yet only about 10% of that amount consists of paper currency and physical coins. The rest of the U.S. dollar money supply exists merely as digits in electronic bank databases. When you log in to your bank’s website and check your account balance, for example, it’s not like there are a bunch of pieces of paper sitting in the bank vault with your name on it. Dollars, Euros, Yen, Renminbi, Swiss Francs—they’re all essentially digital currencies. They just happen to be controlled by central banks. As such, the supply of these currencies goes up and down on a regular basis based on whether or not the central bankers want to create more money. They could wake up tomorrow and decide to conjure trillions of dollars into existence—which is pretty much what happened during the 2008 financial crisis. If you want to buy Bitcoin at $12,000 (or any price), it should be based on a rational, objective assessment of the long-term demand. A currency’s demand, on the other hand, is based on several factors: the number of users, the number of “nodes” where the currency can be used to pay for goods and services, confidence in the currency, etc. The U.S. dollar has hundreds of millions of users, and hundreds of millions more places where you can use them, from the coffee shop next door to the government tax office. Dollars also have an unparalleled reputation as the world’s dominant reserve currency, plus it’s viewed internationally as a major safe haven. In a sense, it might seem silly that these green pieces of paper (or the digital representations of those pieces of paper) have any value such that we can trade digital or paper dollars that can be created at will by unelected bureaucrats for products and services that we dearly need or desire. And yet, dollars have value. It’s similar with Bitcoin (and other cryptocurrencies), but with a few key differences. Most importantly: Bitcoin supply is FIXED. There is no central bank of Bitcoin that can conjure more out of thin air. There will only be 21 million total bitcoins—ever. So, over the long-term, Bitcoin’s value fundamentally has to be about its demand. Will there be more cryptocurrency users in the future, or fewer? 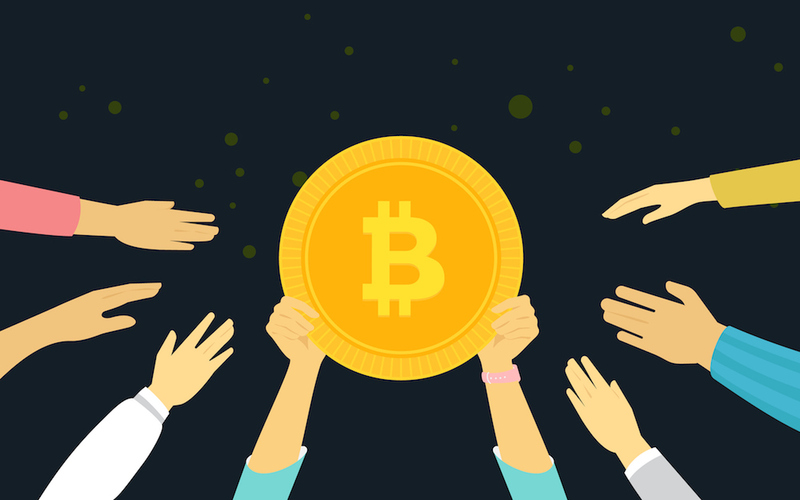 Will there be more businesses that accept payment in cryptocurrency, or fewer? Will there be more transactions in cryptocurrency, or fewer? If you believe the answer to those questions is “more,” it stands to reason that future demand will drive the price higher over the long-term. And there’s certainly a good case to be made that this will happen. But bear in mind that nothing goes up or down forever in a straight line, including cryptocurrency. Bitcoin has been extraordinarily volatile. And this is also about supply and demand. As the price rose this year from $1,000 to $2,000 to $5,000 to $10,000, a lot of people who missed out started to buy Bitcoin in a panic. Coinbase, the world’s largest crypto brokerage, added more than 100,000 new accounts on Thanksgiving alone, and nearly 10 million new accounts over the last 12 months. But at the same time, the number of people willing to sell Bitcoin is pretty low. Think about it: If you own something that seems to be going up 10% per day, would you sell? But a lot of folks are tempted to keep their Bitcoin because they believe that, with such incredible momentum, the price will double again by next month. Why, then, sell today when you can sell later at twice the price? With this view in mind, there are few sellers combined with a LOT of buyers. This is the primary reason why the price has been soaring higher. It’s reflexive: The higher the price goes, the more people want to buy it—and the less people want to sell it—which drives the price even higher. The cycle continues. We concluded the remarks by encouraging the audience to stay rational. If you want to buy Bitcoin at $12,000 (or any price), it should be based on a rational, objective assessment of the long-term demand. Don’t buy because you’re in a panic that you missed out. I hear this from people who feel that they missed a once-in-a -lifetime opportunity. Speculators like Kyle Bass made billions shorting the housing market in 2008. Investors who used conservative leverage to bet against the British pound prior to Brexit in 2016 made a 10x return in less than a month. Crypto has been a great opportunity, and may continue to be so. But if you feel like you missed it, and/or you’re not willing to speculate at this price, never forget that there will ALWAYS be other great opportunities out there. Looking for cutting-edge financial advice every month? Early to Rise offers just what you’re looking for—insider investment guidance, wealth management tips, and money-building hacks for everyone. 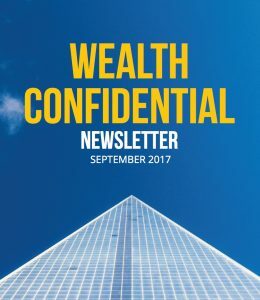 It’s all in our Wealth Confidential Newsletter, which you can subscribe to HERE. Trust us—it will be the best investment you’ve ever made.